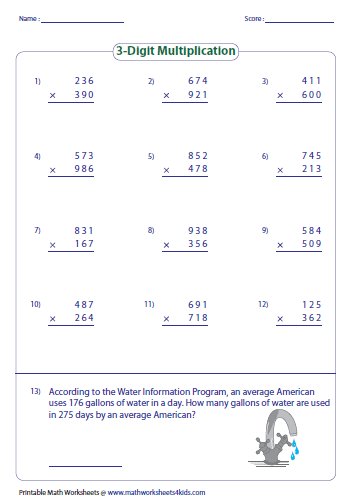 Advanced multiplication worksheets are exclusively available for 3rd through 6th grade students. 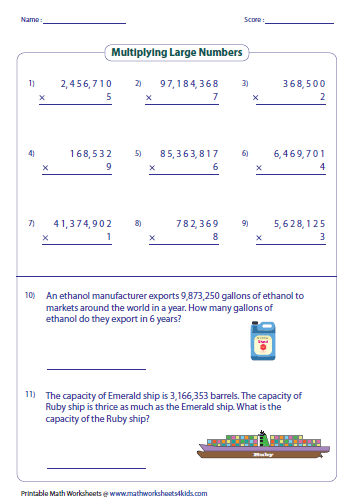 The students' speed and accuracy are improved by working on these worksheets. Multiply large numbers like 3-digit, 4-digit, 5-digit, 6-digit, etc., with single-digit and multiple digits. 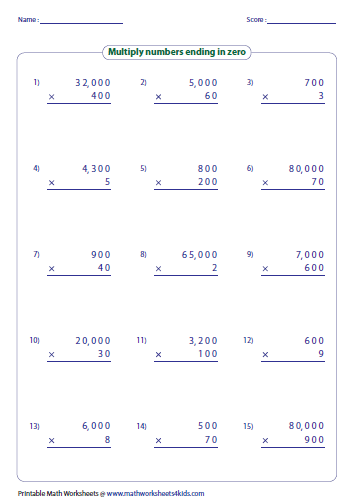 Practice on these worksheets to end confusion on multiplication of numbers ending with zeros. Multiply three-digit or four-digit numbers by a single-digit number to find the product in each problem. 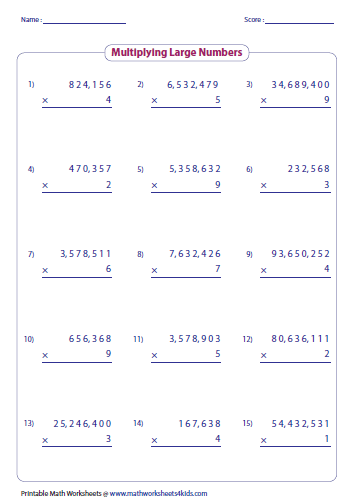 Work on these advanced multiplication worksheets where 3-digit multiplies 2-digit. Multiply 4-digit or 5-digit with 2-digit numbers to solve each problem. Real-life problems are included. Long multiplication problems where 3-digit multiplies 3-digit. The numbers to be multiplied are vertically arranged. 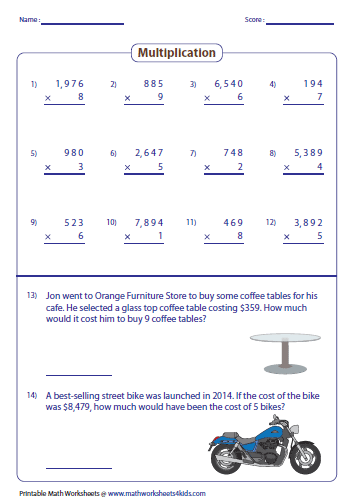 Build your skills on multiplication. 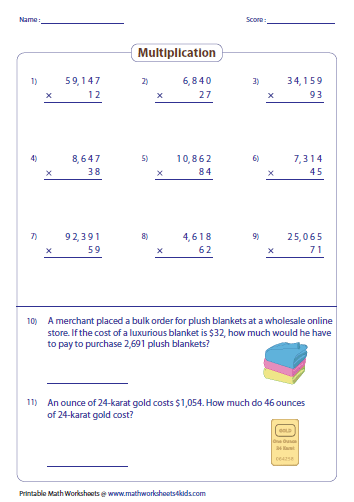 This section has 15 standard problems with / without word problems. Long Multiplication gets tougher! Try solving these problems with large number multiplicands. 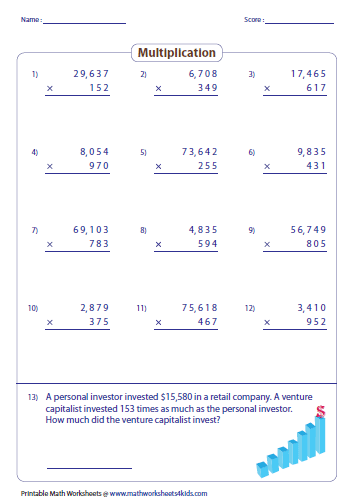 All the worksheets have only vertical standard problems. Practice multiplying 100 thousands, millions and 10 millions by 1, 2 or 3-digit numbers. 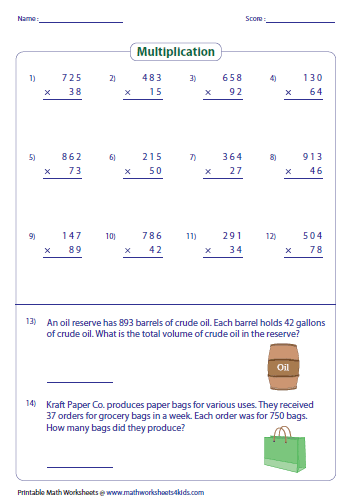 Word problems are included in each worksheet.